Our equal best seller,this non greasy cream rubs in easily and has a pleasant scent which is not over powering. The combination of menthol, wintergreen oil, lavender, eucalyptus and lemongrass with their analgesic properties help to provide pain relief to joints and muscles. Customers continually contact us to reorder and report success in using it for a wide range of conditions. The most common being arthritis to help relieve pain and reduce stiffness especially first thing in the morning. Other successes include muscular pain, back pain, gout and even shingles! Our best seller since first selling it in 1996! 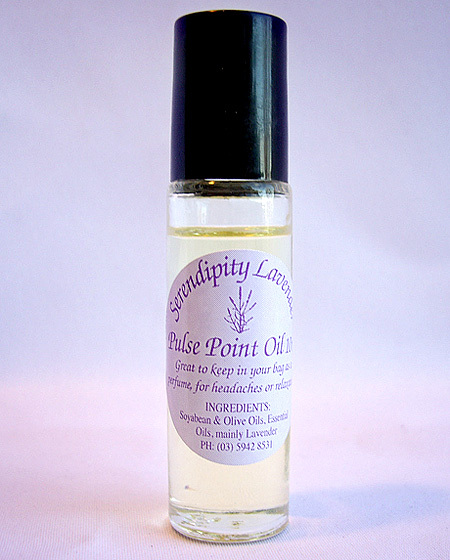 Delightful to use,it is a soft,non greasy cream with a beautiful scent of lavender and just a hint of gardenia. 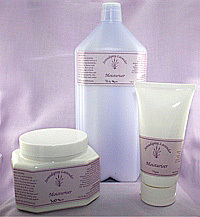 A top quality cream,it can be used on the face as well as the hands and body. 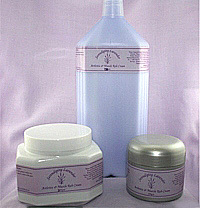 It is especially good for dry and sensitive skin and after being out in the sun. The major reason it is a big seller is the success that customers continually report in using it for skin problem including dermatitis,eczema and psoriasis. Many customers have told us it's the only cream they've ever been able to use! 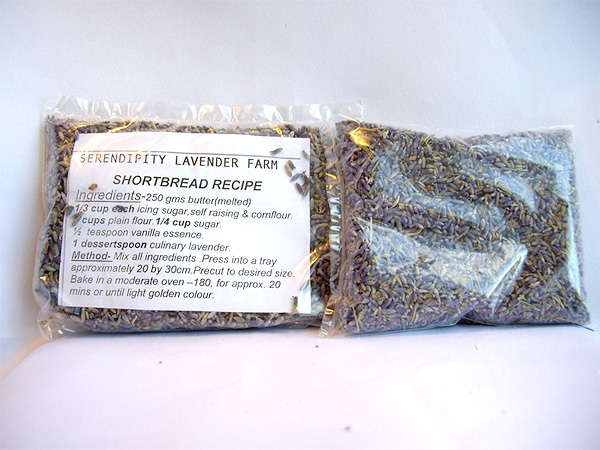 With a vegetable oil base, it contains 20% essential oils which is mainly lavender. The roll-on ball makes it convenient to use for headaches, to relieve stress, tension and to assist sleep. Its lovely scent also makes it an excellent perfume. Very convenient keep in your handbag or bedside table. 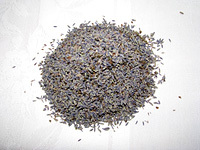 We harvest our lavender early, just as its starting to flower which is the optimal time to get top quality dried lavender. We hang it away from direct sunlight and process it (strip the flowers from the stems) as soon as possible to retain the lovely blue color and optimal scent. 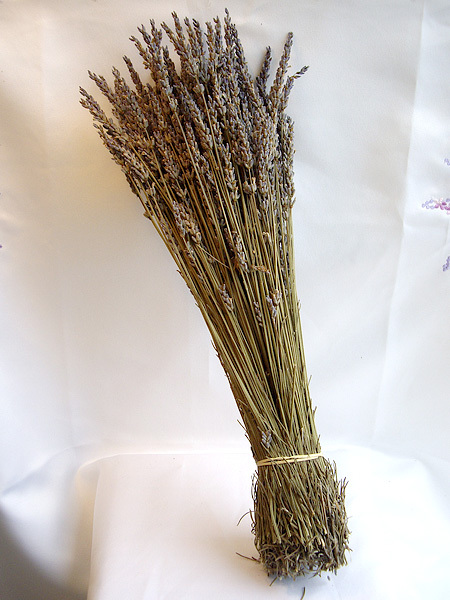 In 20 years of growing lavender we have only had 1 bad year (summer 2011 was the wettest ever) for drying lavender. 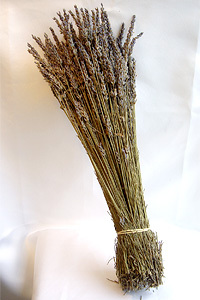 Drying lavender reabsorbs moisture from the air so has to hang longer to dry and loses quality. 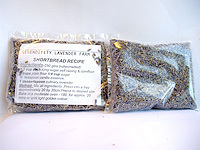 Our dried intermedia lavender is used in all our sewn items. The scent will last 8 years plus. Just crush occassionally to renew the scent. It is one of our best sellers as many people use to make their own craft products. Did you know that the unpleasant odour under your arms is from bacteria that grow from your perspiration. Most commercial brands contain aluminium(some in quite high percentages) as this works by closing up your pores and thereby preventing perspiration and therefore odour. Closing up your pores is considered to be unnatural. 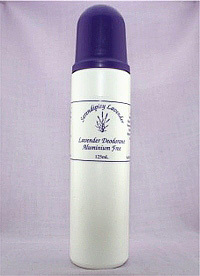 Lavender is antibacterial so the deodorant works by preventing the growth of the bacteria and therefore the odour. Other ingredients help to keep you dry but not to the extent that aluminium does. Customers in hot climates use it successfully. it lasts approximately one year. This among our very first products and has continued to be popular. 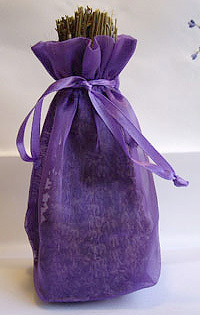 It is a blend of beeswax, vegetable oils and lavender oil. Fantastic for all types of timber and particularly antiques. 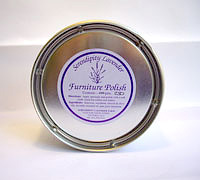 Also works well to restore old or disused furniture. Is also excellent for leather,including furniture,bags and shoes.